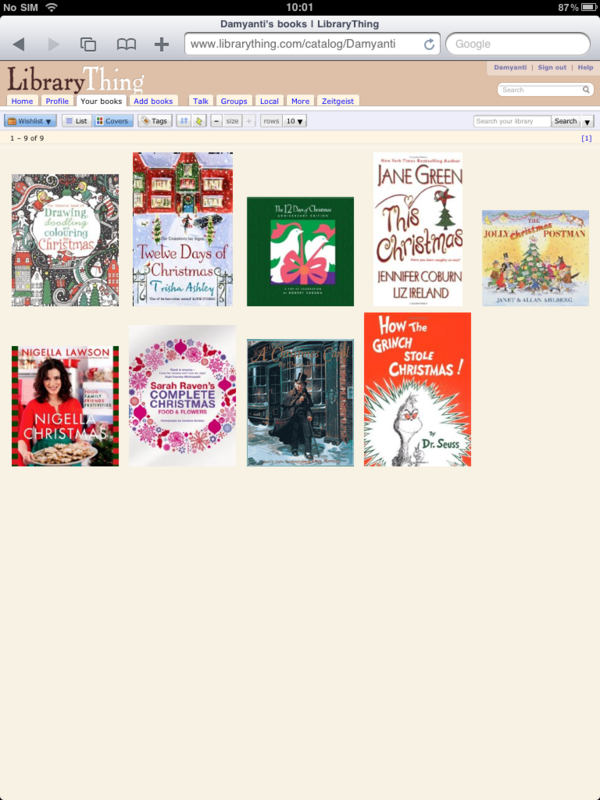 As well as sharing photos online via Flickr, websites via Delicious, my ideas on my blog I also use LibraryThing to share what books I own, am reading & would like to read. LibraryThing allows you to catalogue your books online & as your collection grows it can help connect you with other readers who share your taste. You can also connect with your friends & see where your collections overlap. My main reason for using LibraryThing was because I wanted to keep a note of what I was reading with a brief review. In keeping with the festive season I have put together my own festive wish list of books I want to read this month.